Every time we have bread for breakfast, at least a quarter portion of the lot gets wasted. 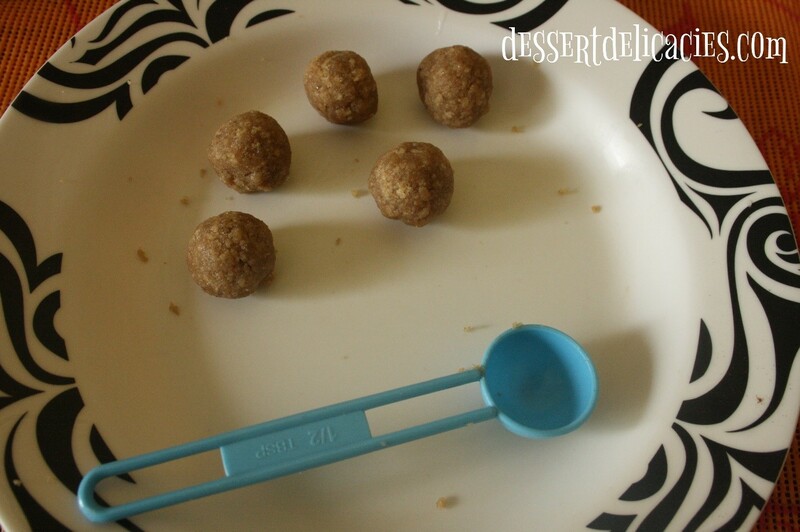 That is how I started finding out ways of cutting down on the wastage by making small delicacies out of them. If nothing I just crumb the slices and store in airtight container. 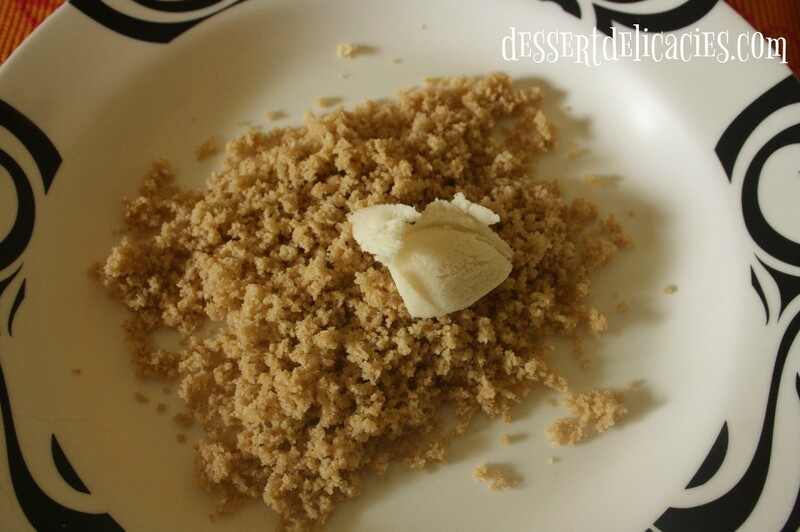 Vanilla buttercream frosting – 1 tsp. Lollipop sticks – 5 Nos. Remove the four sides of the bread slices. Crumble them into fine powder. 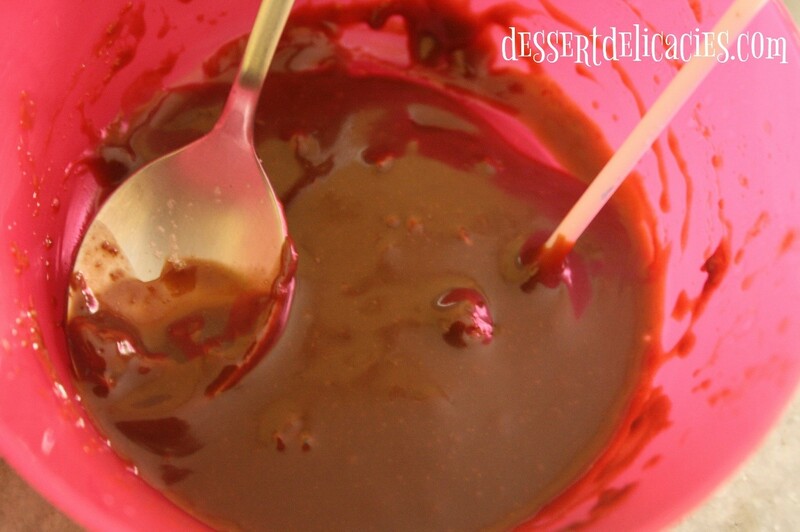 You can either do this with hand or pulse them in the mixer. Add a tsp of vanilla buttercream frosting and mix well. Now make small balls from the dough. Pop the lollipop stick tips into the chocolate till its coated well. 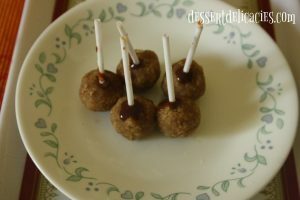 Insert the chocolate dipped edge of the lollipop into the bread balls carefully not to break them. Freeze this for approx. 20-30 mins. 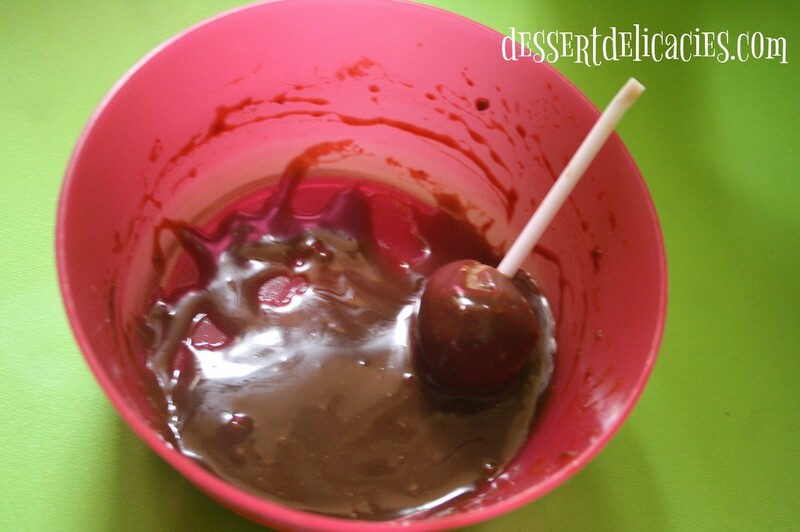 Once done remove from the freezer and dip each bread ball into the chocolate and swirl well till nicely coated. Wait till no more chocolate drips from the surface. Freeze till the chocolate holds on to the bread surface. 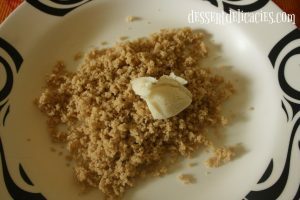 I have used whole wheat bread for this recipe. Will taste very good with sweet bread. Can use the chocolate of your choice. 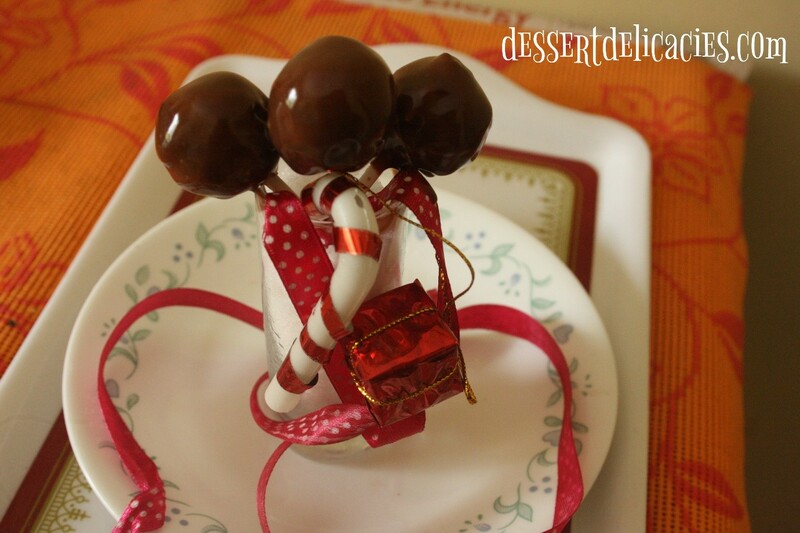 If you intend to add colour, it is better to use white chocolate. 1. Crumb the bread pieces into fine powder. Add vanilla buttercream frosting to this. Mix well. 2. Make small balls from the mix. 3. 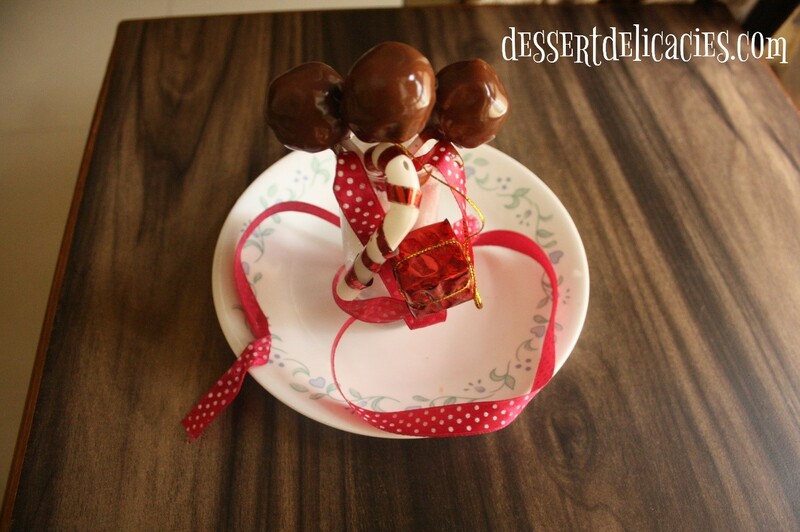 Melt the chocolate in a double boiler and dip the tip of the lollipop sticks in it. 4. 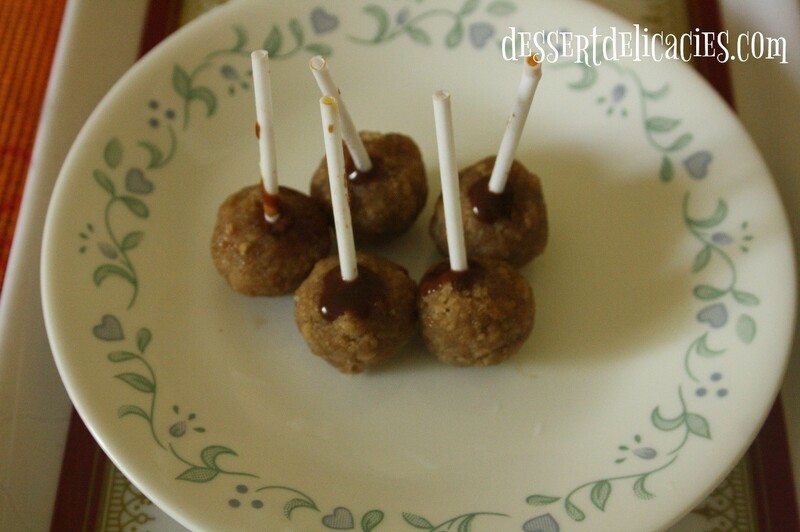 Insert the coated tip of the lollipop sticks slowly into the bread balls and freeze this approx. for 30 mins. 5. 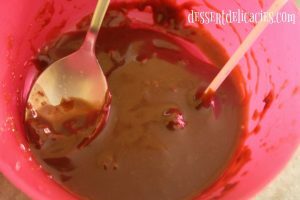 Now swirl the bread balls in the chocolate till it’s completely coated and wait till no more chocolate drips from the surface. 6. Freeze till the chocolate forms a firm coating on the bread surface and serve the bread pops on a Styrofoam.